SPARQ! is a network of resources sponsored by the OIE that strive to support students’ positive development of gender, (a)sexuality, and (a)romantic identity. We offer peer mentoring, ally education, and targeted programming focused on specific LGBTQIA+ identities accessible to the entire Bates community. Through these resources, SPARQ! will provide a consistent presence which aspires to foster a true sense of safety and belonging for trans, queer, and questioning students. Click here to be matched with a SPARQ! Peer Mentor. 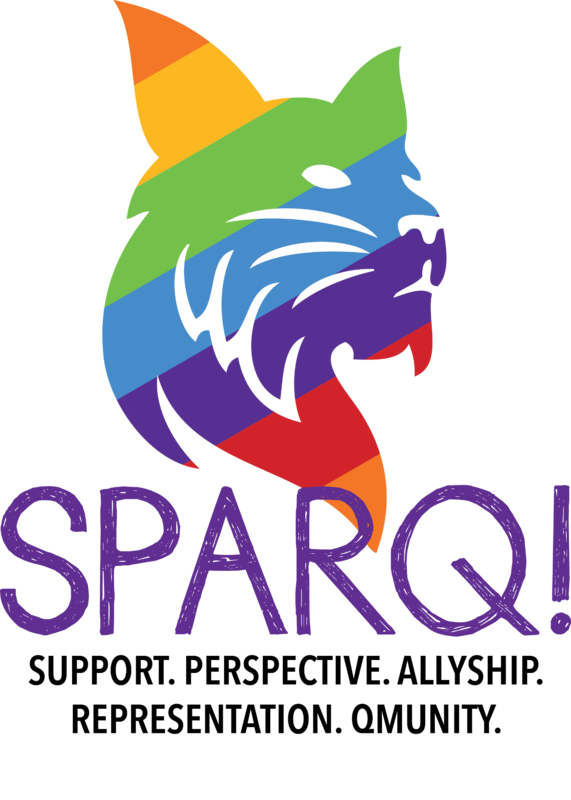 Or stop by the OIE, 144 Chase Hall, from 4-6pm on Tuesdays and Thursdays for SPARQ! 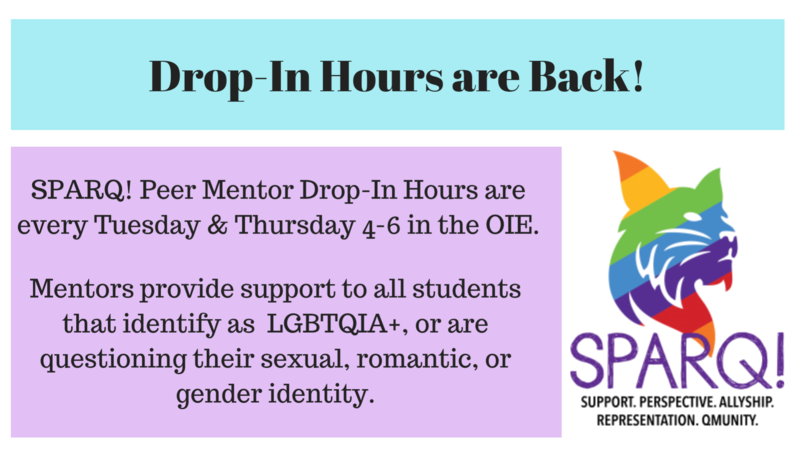 Peer Mentor drop-in hours! SPARQ! Peer Mentors are the foundation of the SPARQ! Program. Mentors are trained to provide support for personal, social, and academic concerns to all students who identify as LGBTQIA+, or questioning their sexual or gender identity. Click here to be matched with a SPARQ! Peer. QConnect is a meal and conversation gathering where LGBTQIA+ students and their allies connect and foster a sense of community through cooking, sharing a meal, discussions and the sharing of personal experiences. Discussion topics are prepared by the Assistant Director in the OIE and the LGBTQIA+ Peer Mentors. These conversations queries are broad but guided through the lens of gender, sexual, and romantic diversity, QConnect is hosted in the Office of Intercultural Education on various Thursday evenings and Sunday afternoons. SPARQ! prioritizes the privacy of all students who attend these events. Please refer to the Calendar or Events or Facebook for more info! Out2Lunch is a monthly lunchtime informational discussion series focusing on topics, identities, and resources relevant to LGBTQIA+ college students and their allies. Out2Lunch is open to all faculty, staff, and students. Grab your lunch from commons and join us upstairs. Check out the OIE Calendar for event dates! Active Ally Trainings are formal and interactive workshops providing awareness, education, skills, and forms of actions individuals need to perpetuate a safe and welcoming campus. Each training is tailored to the needs of the audience. Trainings are open to ALL students, staff, and faculty. 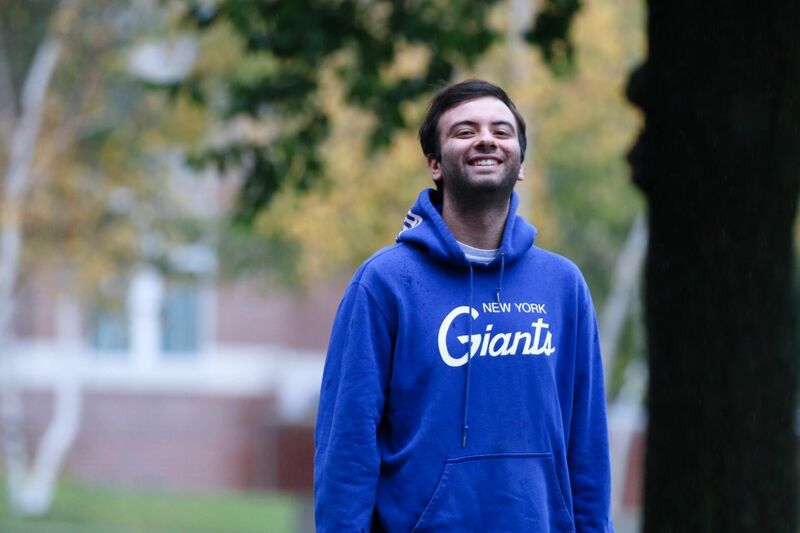 Check out our LGBTQ @ Bates Page!